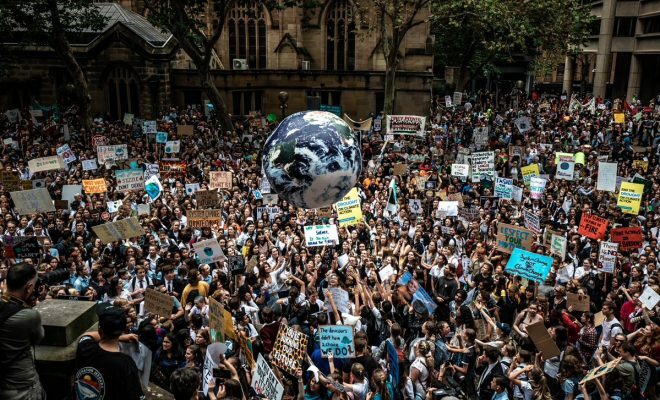 The strikes won support from the International Trade Union Confederation, C40 Cities, Scientists for Future, and United Nations Secretary General António Guterres, who cast his climate summit coming up in New York in September as an opportunity for governments to give meaning to their commitments under the Paris Agreement and address the students’ concerns. “These schoolchildren have grasped something that seems to elude many of their elders: we are in a race for our lives, and we are losing,” he wrote in The Guardian. “My generation has failed to respond properly to the dramatic challenge of climate change. This is deeply felt by young people. No wonder they are angry.”A chart compiled by InsideClimate News showed that scientists were already raising the alarm about climate change when Donald Trump and national leaders Angela Merkel, Emmanuel Macron, and Justin Trudeau were in their teens and early 20s. Follow-up graphs portrayed projected global temperatures, sea level rise, and Arctic ice loss by the time today’s teens are Trump’s age.